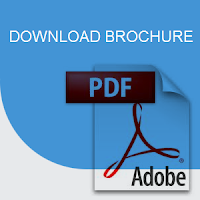 Compatible with BIM software Autodesk® Revit®, Revit® Architecture, Revit® Structure and Building Design Suite. Avoid wasting time: lengthy tasks automated and/or eliminated. Easily divide walls and control, change or update gaps between them anytime. 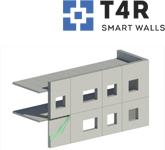 Quickly decompose multilayer walls into separate walls while keeping openings in place. Check, edit, change and write wall parameters in a project with the handy Modify/Calculate Parameters window. 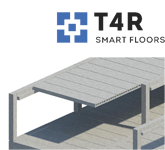 Insert or update floor panels based on selected walls, grids, reference planes or structural framing. Set offsets and position for floor panels. Quickly insert holes into selected floor panels. Automatically update all floor groups when model geometry changes. Insert grout tubes, cast-in plates, anchor bolts, lifting bolts and cuts on any surface of beams and walls. Rule-based distribution of details and voids on any element surfaces. Simple insertion of point-based and line-based details. Host-element data can be read and used to modify detail families automatically. Easily rotate/flip details in configuration window to get desired result. Check whether host element has enough solid body for detail to be inserted. Insert details according to gravity point. Insert details at intersection points of other Revit elements. Quick modification and updating of inserted details. Automatically insert details based on a defined configuration name. 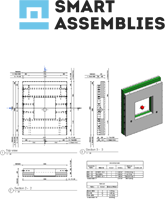 Smart Assemblies, used for workshop drawings, recognizes changes made by Smart Details. Insert connection details on columns, foundations and beams using defined rules. 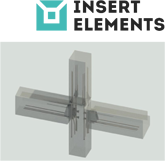 Database of insert element rules can be easily extended on request by Revit users. ‘Project Family Browser’ shows you all available project elements in a convenient dialog; Drag and drop functionality lets you easily place family elements in a Revit project. 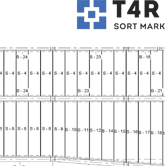 Powerful and flexible functions let you easily renumber any Revit elements (beams, columns, foundations, walls, connections, etc.) in a number of different ways. Automatic recalculation of shared X, Y, Z coordinates. Create new shared parameters and benefit from many other handy functions. Save numbering settings under a separate name. Sort elements in ascending or descending order. Create views of foundations, walls, beams, columns and floors with automatic dimensions and place them into sheets. Update assemblies on the basis of project changes. Select/find/isolate primary and secondary assemblies. Find changes in assemblies due to new hosted details. Insert details/cuts on all assemblies of the same type with one click. 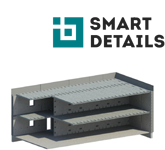 When making shop drawings, Smart Assemblies recognizes changes made by Smart Details to enable quick detailed modeling. The Precast Concrete Suite is brought to you by AGACAD. Pricing was not known at press time.